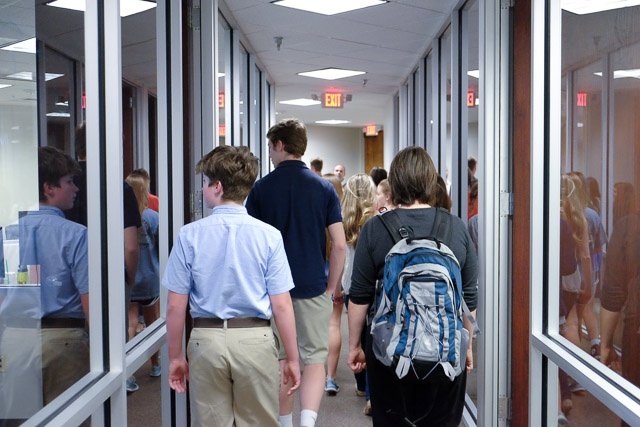 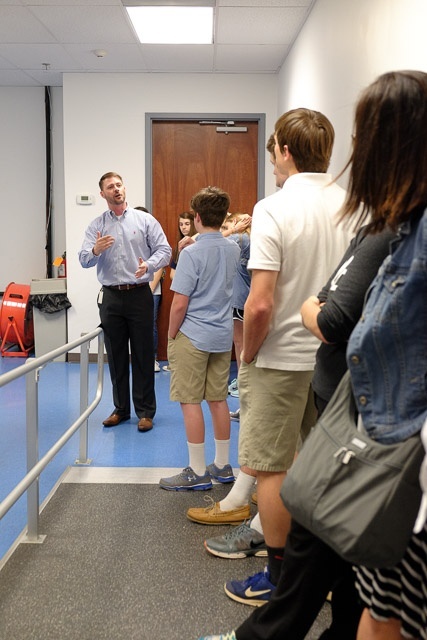 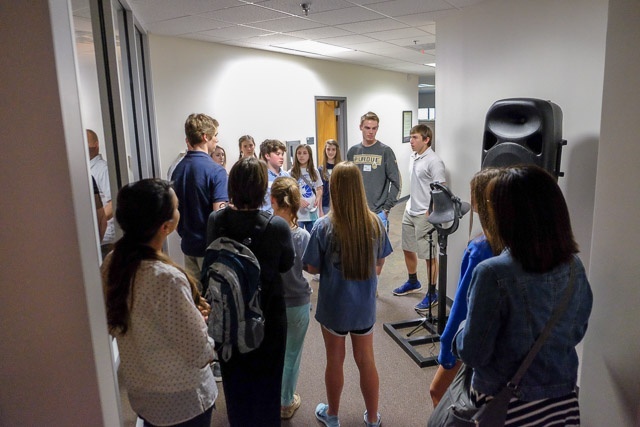 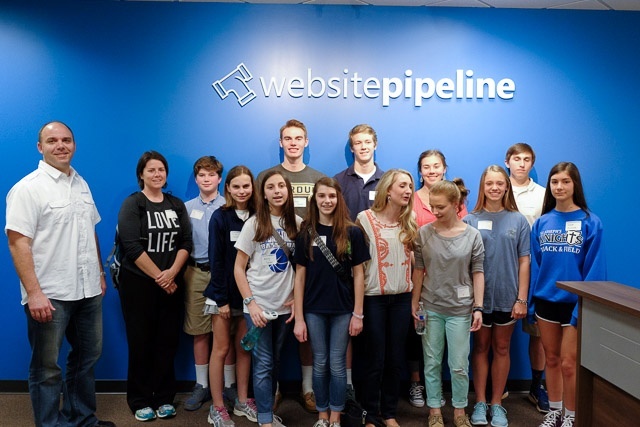 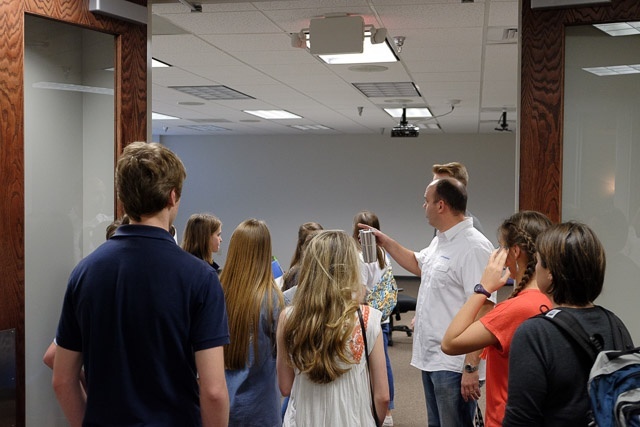 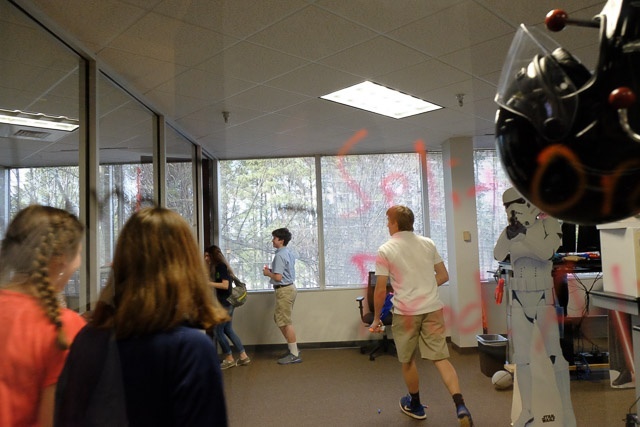 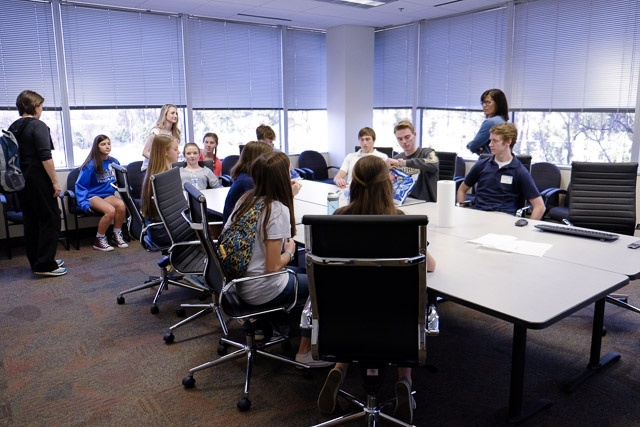 This week, a group of middle and high school students from St. Joseph's Catholic School visited two local companies to learn about jobs in technology, including here at Website Pipeline HQ. 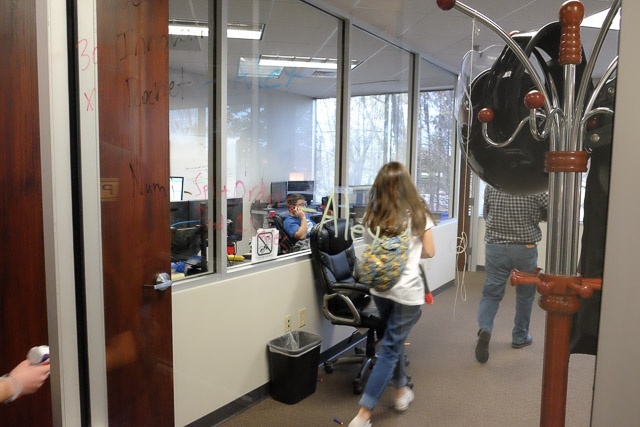 The adventure began at Greenville-based Immedion, provider of hosting, colocation, and cloud services to companies like us - Immedion is a hosting partner for Website Pipeline. 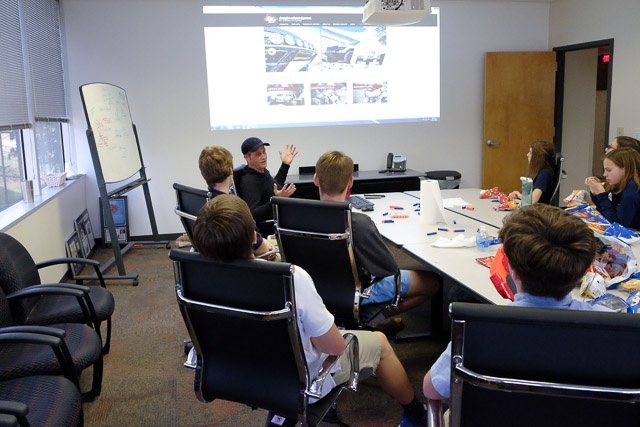 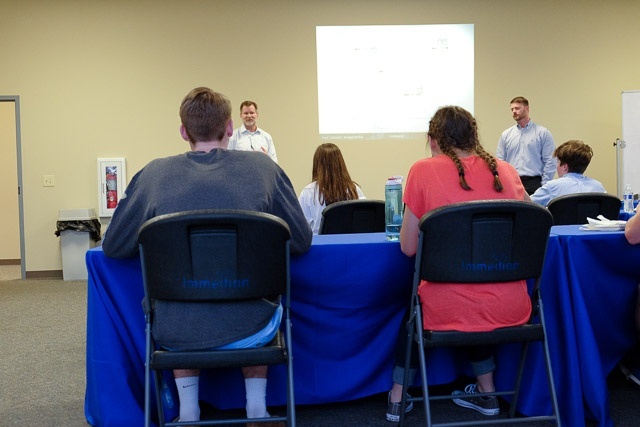 Immedion CEO Frank Mobley and a few members of his leadership team gave a presentation about the history of the company and the enterpreneurship lessons they've learned along the way. 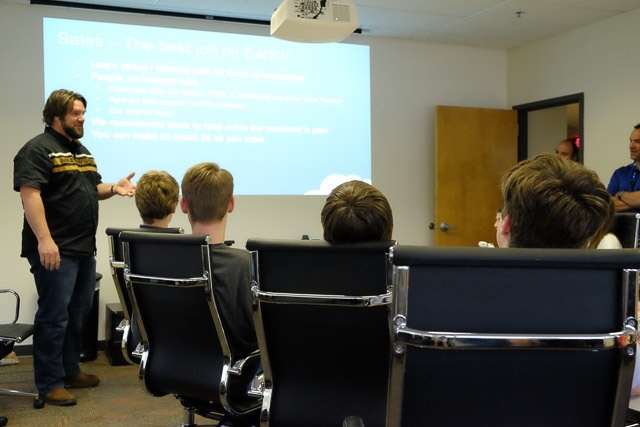 The presentation also included a great explanation of what "cloud" means, and how the internet-behind-the-internet really works, including these topics: servers, network backbones, ISPs, virtualization and storage technology. 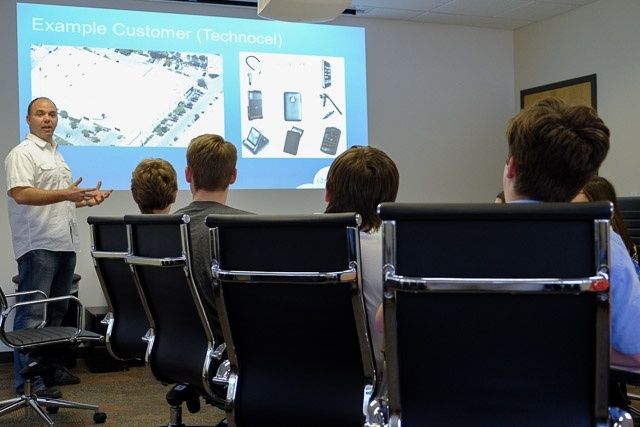 The students also learned that it takes a lot of hardware and network infrastructure to be a top-level cloud hosting provider, along with backup redundancy of all systems. 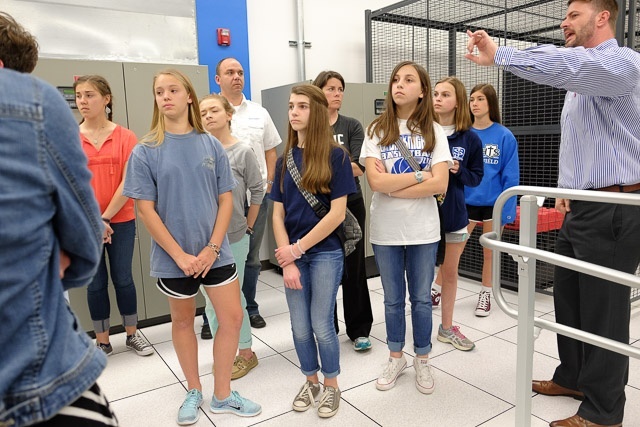 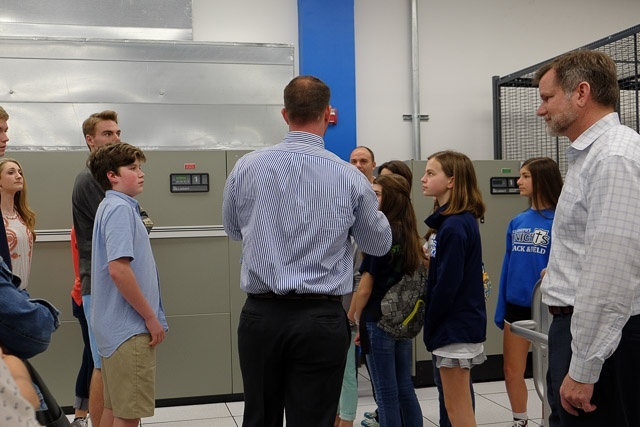 Following the presentation, we all got to take a tour of one of their data centers, where we discussed racking, cabling, fire suppression, and air conditioning. 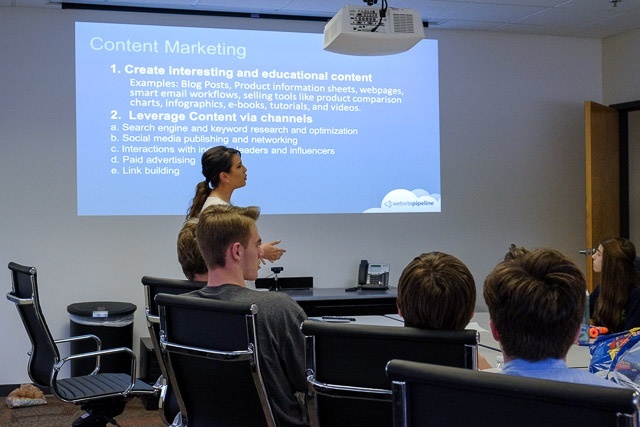 And since we wanted these young people to be successful, we taught them the secret of our success: the Website Pipeline Pointing. 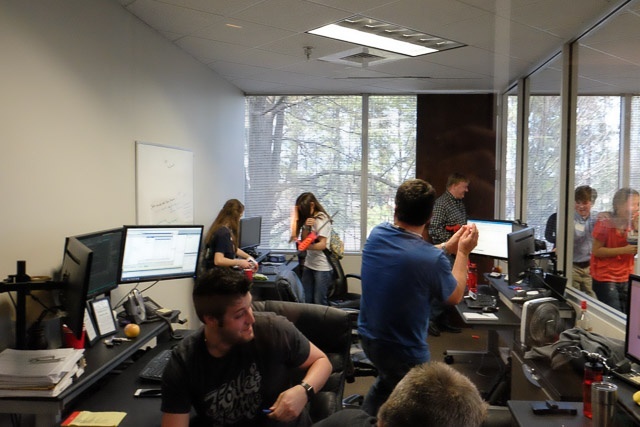 That was followed by a short tour of our newly-completed office. 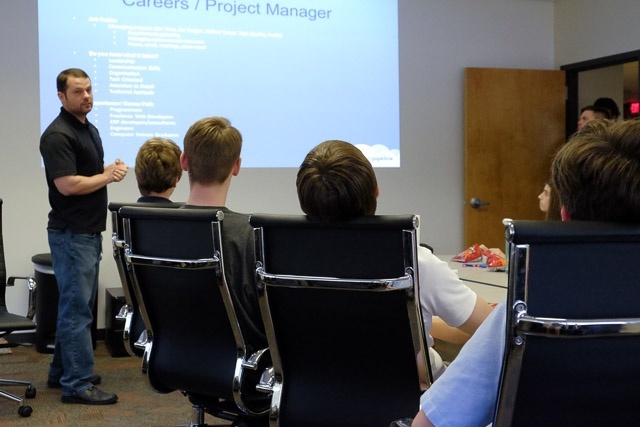 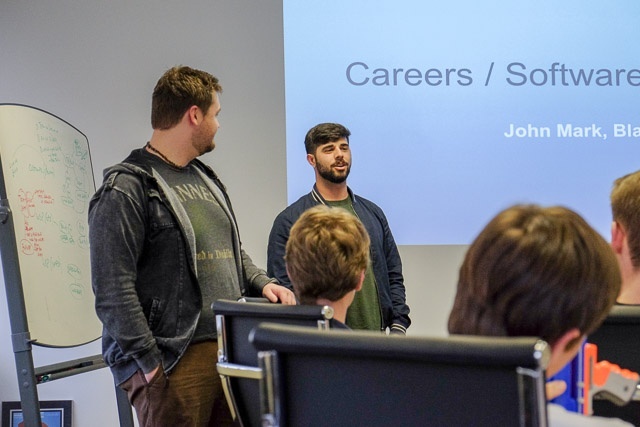 After the tour, we settled into a conference room for a series of presentations from Website Pipeline team members on how their jobs use technology, and how their college majors and career paths led them to their current roles. 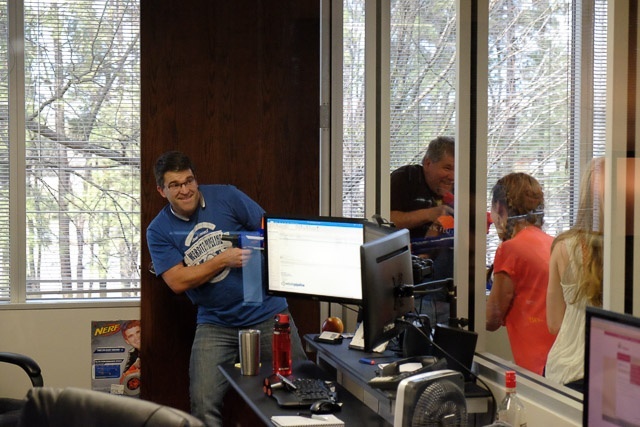 Sales Team Leader Eric Alexander explains "The Best Job on Earth"
The students correctly chose CTO Eric Ward as their target for the Nerf raid. 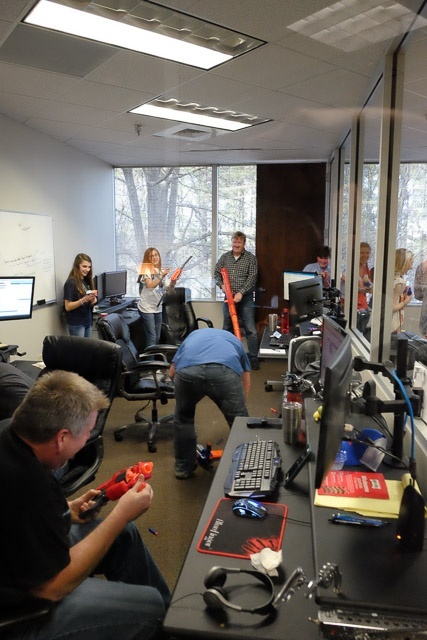 Everyone loaded up on ammo and then streamed into the office with overwhelming force. 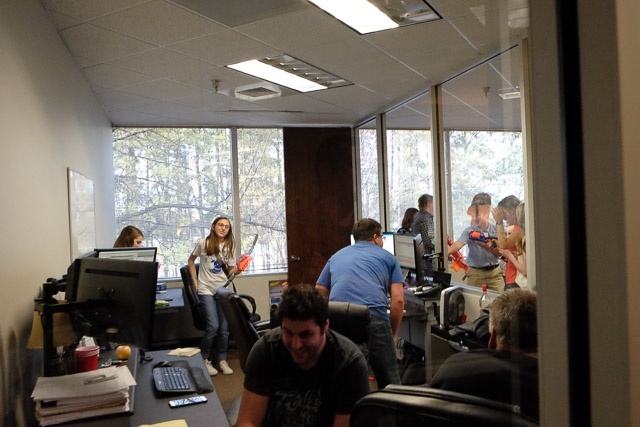 That's Eric behind the glass on his cell phone. 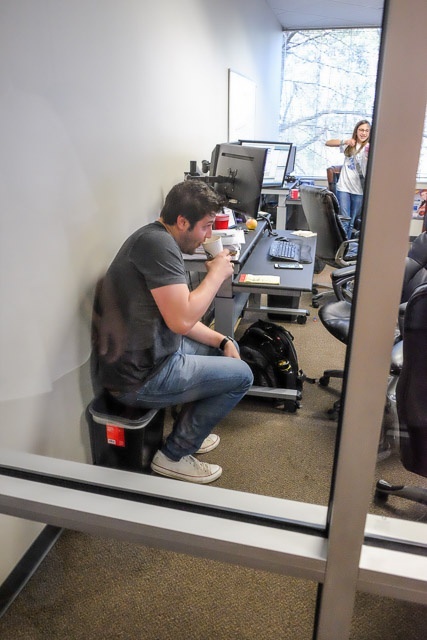 His next words were a hasty "I've gotta go!" 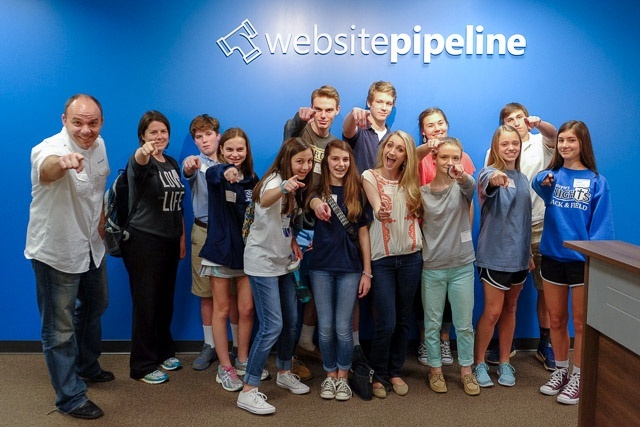 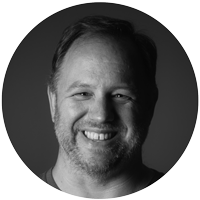 To learn more about Website Pipeline and what makes us successful (and fun), check out the culture section of our website.